What factors have influenced the characteristics of the village of East Meon and West Meon? An investigation of the similarities and differences between the two villages and an opportunity to investigate the factors that have led to their development. The study will also address the issues surrounding the sustainability of rural settlements. Sustainability Index Data to also consider are: Kelly’s Directory entries, Census data ,Parish Council plans. Data collection for GCSE controlled assessments. AQA Specification A: Changing rural environments. Edexcel Specification A: Settlement change. Edexcel Specification B: Changing economy of the UK; Changing settlements of the UK; The challenges of the rural world. Edexcel Certificate Geography: Economic activity and energy; Ecosystems and rural environments; OCR Specification A: Similarities and differences in settlements and population; Population change; Geographical skills. OCR Specification B: Theme 2 Population and settlement. OCR ELC Geography: People and places. Science: The impact of humans on the environment depends on social and economic factors, including population size, industrial processes and levels of consumption and waste; the importance of sustainable development; the efficient use of energy. Citizenship: How local priorities are established and monitored, and how young people are consulted by the local authority; how to contribute to local decisions that will influence quality of life and the environment in the future. Check out our website with your class. 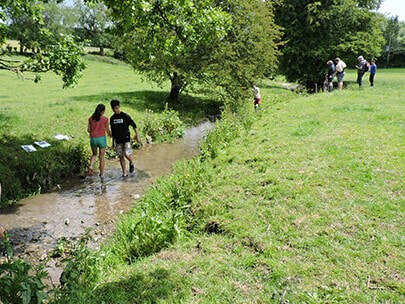 How does the channel of the River Meon change as you go downstream? 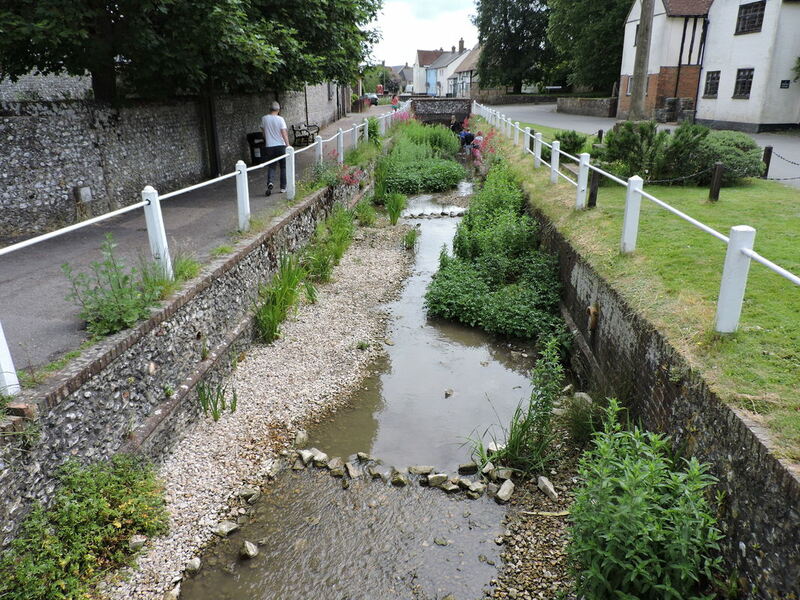 Students will observe and take measurements of the river channel near the source, in the village of East Meon, at Drayton and at Exton. Measurements will include: channel width, channel depth channel cross-section area mean velocity load survey channel bed roughness gradient wetted perimeter meander. Students can take photographs and/ or field sketches. They will also use a sustainability index and there will be opportunities to discuss the sustainability and potential uses of the river. Students will gain an appreciation of the changes in the stream characteristics and a greater understanding of what influences these changes. They will take away photos, impressions and quantitative data for their GCSE Controlled Assessments or CE fieldwork. Geography GCSE Controlled Assessments: AQA Specification A: Water of the Land; Rocks, Resources and Scenery AQA Specification B: Water – a precious resource AQA IGCSE: River Processes and Pressures; Application of Geographical Skills. AQA ELC: Rivers. Edexcel Specification A: A Watery World; River Landscapes; Geographical Skills. Edexcel Specification B: River Processes; Water World. 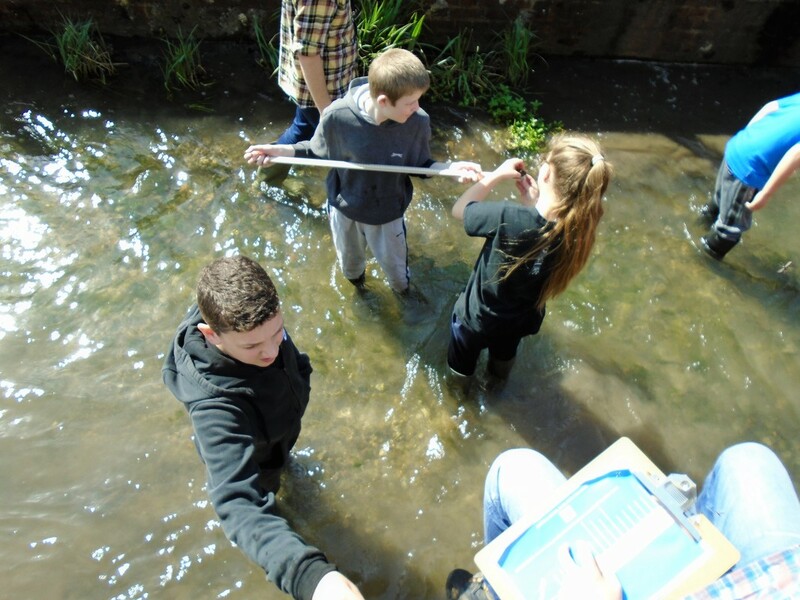 Edexcel IGCSE: River Environments; Practical Geography Enquiry. Edexcel Certificate: River Environments; Geographical Enquiry. OCR Specification A: Geographical Skills. OCR Specification B: Rivers and Coasts. OCR Short Course: Rivers and Coasts; Geographical enquiry. OCR ELC: Rivers. WJEC Specification A: Water. WJEC Specification B: River Processes and Landforms. Data collection for Common Entrance fieldwork and reinforcement of Rivers theme.